We're proud of our orthodontic heritage. For over 50 years, Great Lakes has grown from a 2-person orthodontic lab to a 275-person employee-owned company offering over 4,000 products and services and operating one of the largest laboratories in the United States. To ensure that we continue to grow and place our partners, associates, and customers in the best position to succeed, we feel the time is right to evolve our name and look as well. Rest assured, the more things change, the more they stay the same. We are the same employee-owned company and will continue to provide the level of expertise, knowledge, and customer service you've come to expect from Great Lakes Orthodontics as Great Lakes Dental Technologies. You'll start to see the new logo and new name on Great Lakes products and communications over the next few months. We look forward to continuing to grow together. In the meantime, if you have any questions please let us know. Great People. Great Products. Great Lakes. Great Lakes Dental Technologies is an employee-owned company, with over 275 employee-owners who design, develop, manufacture, and market appliances and products for use in the orthodontic, dental, and sleep and airway market. Great Lakes is one of North America's largest orthodontic laboratories and offers more than 4,000 products and services. Training and education on the latest appliance fabrication techniques and equipment is offered at the onsite training center in the company's headquarters; located in a modern 78,000 square-foot building in Tonawanda, New York, a suburb of Buffalo. 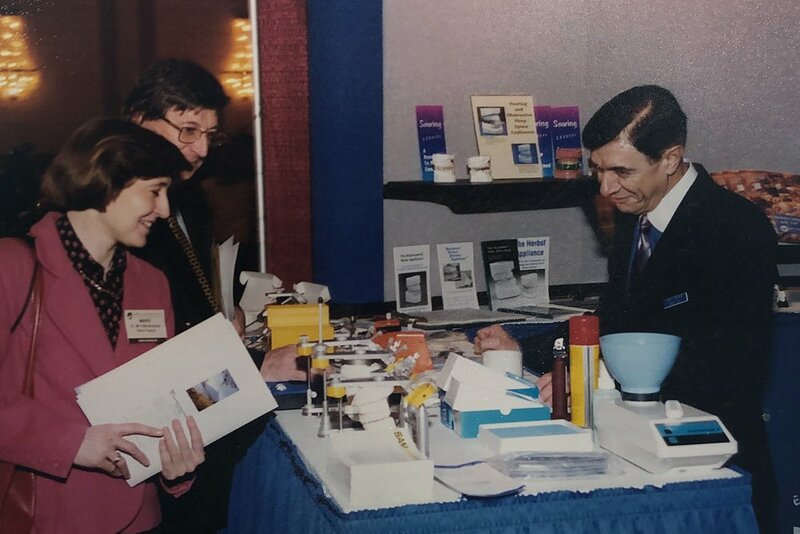 Peter R. Breads, a dental lab technician, opened a small orthodontic laboratory in 1965 in Buffalo, New York, which produced appliances and study models for local orthodontists. One of Peter Breads' first customers was Dr. Carl F. Gugino, who was instrumental in helping launch the business. In 1967, the company changed its name to Great Lakes Orthodontic Laboratory, Inc., and expanded laboratory services to accommodate orders from all over the country. Less than four years later, a products division was founded. Great Lakes Orthodontic Products, Inc. quickly established itself as a leading supplier of high quality materials and supplies, and at the same time, broadened the service area to include the international market. In 1985, the two companies merged into Great Lakes Orthodontics, Ltd. The year 1990 marked another significant event in the company's history, when Great Lakes became an employee-owned company as a member of the Employee Stock Ownership Program (ESOP). In 1999, Great Lakes Prosthodontics, Inc., a division of Great Lakes Orthodontics, Ltd., was formed, officially marking the company's growth into the prosthodontic profession. Over the next several years, the company continued to grow and expand. In 2002, Great Lakes relocated to its current building and doubled its production and manufacturing space. A recent renovation added more than 20,000 square feet of space allowing the company even greater expansion opportunities. The company's progressive expansion, the development of innovative products and services, as well as a shared vision among dedicated employee-owners, all work together to contribute to Great Lakes' continued growth and success. In 2018, Great Lakes Orthodontics, Ltd. officially changed its name to Great Lakes Dental Technologies, representing the rapidly and ever-changing markets, and the evolution of the variety and scope of products and services our valued customers rely on us to provide. Great Lakes Dental Technologies is located in Tonawanda, a suburb of Buffalo, New York, at the northeast end of Lake Erie and is only a few miles from historic Niagara Falls and Canada. We are conveniently situated near the I-190 and I-290 interchange.